SDR# (read SDR Sharp) is a simple, intuitive, small and fast PC-based DSP application for Software Defined Radio. It’s written in C# with both object design correctness and performance in mind. The main purpose is to offer a simple proof of concept application to get hands into DSP techniques. 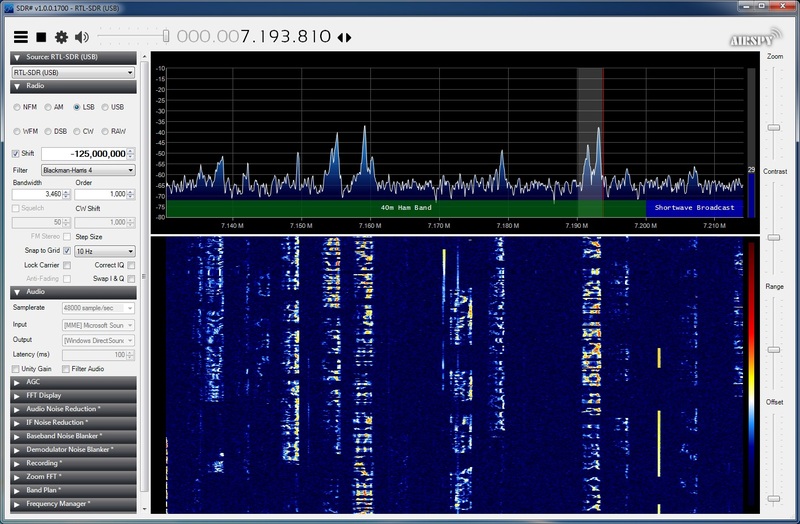 It is currently one of the most popular SDR software tools used with the RTL-SDR dongles (I still prefer HDSDR!!). It's relatively easy to set up and install. If you are using one of the RTL-SDR dongles, this Quickstart Guide is a great tool to get you going with SDR#. I tried it and it it took me just a few minutes to have the software running.